Not just a brand, but a way of life. 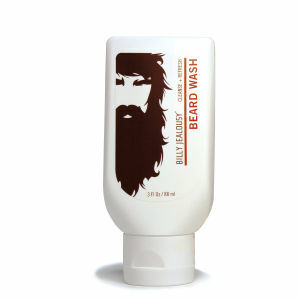 Shop the Billy Jealousy range here at Mankind. Billy Jealousy is more than just a brand — it is a way of life and it defines who you are. The make was founded in 2004 and combines science and nature to create a unique and fun brand experience. Created to appeal to the rebel inside, the brand targets men who know how to play hard and who always know how to look good. The range is designed for the modern man who takes pride in his appearance, and contains everything that you’ll need to keep looking fresh and feeling good, including grooming products to target all areas. If it’s your beard that you want to focus on grooming and shaping, then try out a beard wash, shaving cream or even beard grooming kit to get your bristles looking tip-top. Or maybe you fancy really getting your skin into great condition? Try out a cleanser, face scrub or moisturiser from this brilliant brand to ensure that your skin looks smooth and even at all times. And then of course there's your hair to keep on top of; a hair paste, styling mud or hair pomade should do the trick, and no matter your focus, you’ll find the tools for the job right here. Just browse through the range and pick the right products for you from Mankind.co.uk, with free delivery available.